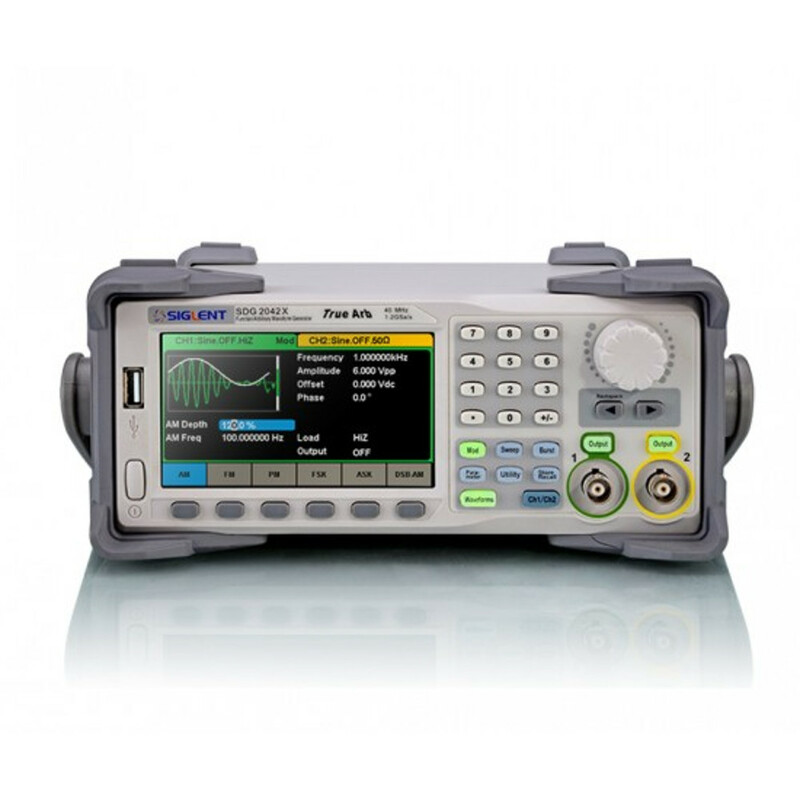 SIGLENT’s SDG2122X is a dual-channel function/arbitrary waveform generator with 120MHz maximum bandwidth, 1.2GSa/s sampling rate and 16-bit vertical resolution. The proprietary TrueArb & EasyPulse techniques help to solve the weaknesses inherent in traditional DDS generators when generating arbitrary, square and pulse waveforms. The SDG2122X can provide users with a variety of high fidelity and low jitter signals, which can meet the growing requirements of complex and extensive applications. Dual-channel, 120MHz maximum bandwidth, 20Vpp maximum output amplitude, high fidelity output with 80dB dynamic range. 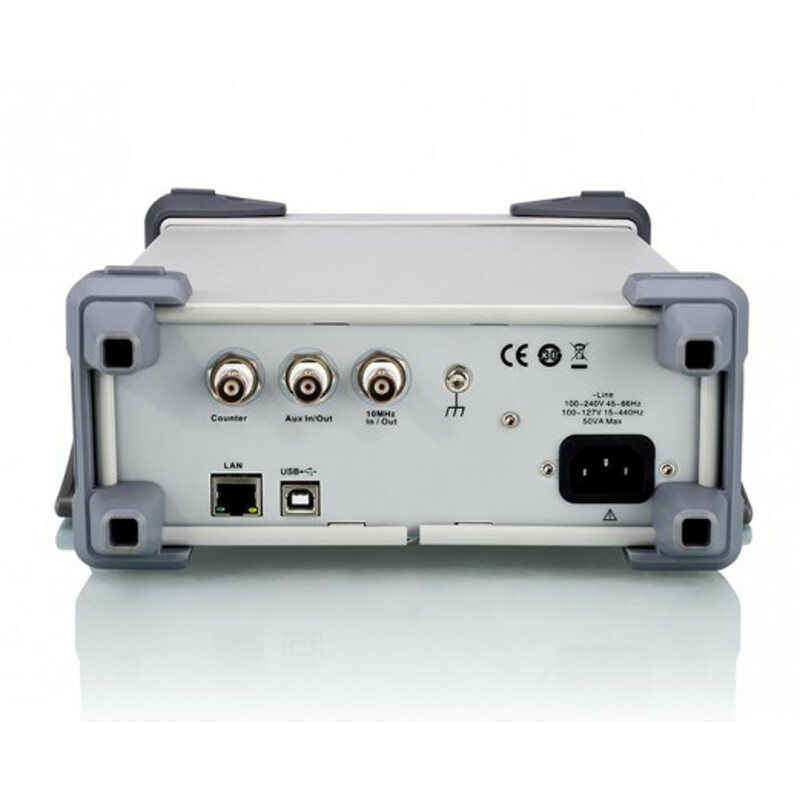 High-performance sampling system with 1.2GSa/s sampling rate and 16-bit vertical resolution. No detail in your waveforms will be lost. 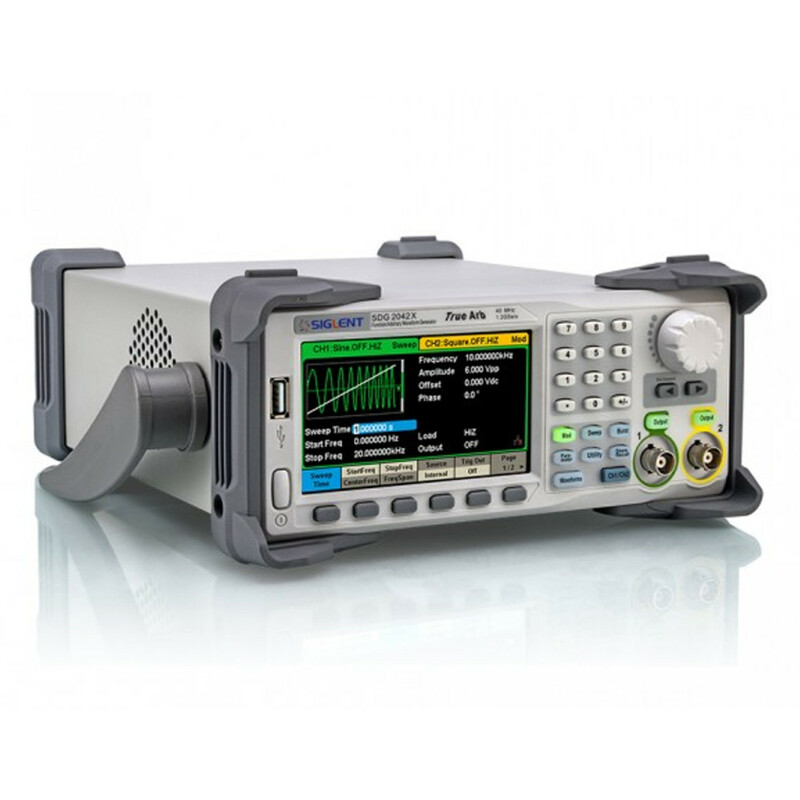 Innovative TrueArb technology, based on a point-by-point architecture, supports any 8pts~8Mpts Arb waveform with a sampling rate in range of 1μSa/s~75MSa/s. Innovative EasyPulse technology, capable of generating lower jitter Square or Pulse waveforms, brings a wide range and extremely high precision in pulse width and rise/fall times adjustment. Plenty of analog and digital modulation types: AM?DSB-AM?FM?PM?FSK?ASK and PWM. Standard interfaces: USB Host, USB Device (USBTMC), LAN (VXI-11) Optional interface: GPIB. 4.3” touch screen display for easier operation. For arbitrary waveforms, TrueArb not only has all the advantages of traditional DDS, but also eliminates the probability that DDS may cause serious jitter and distortion. The 4.3” touch screen display, makes operation much more convenient. And EasyWave is a powerful arbitrary waveform editing software that supports several ways to generate arbitrary waveform such as manual drawing, line-drawing, equation-drawing, coordinate-drawing, etc. It is quite convenient for users to edit their own arbitrary waveforms through EasyWave.